Cute Kiona is ready to become a confident kitty—she just needs your help getting there! Shy and sensitive, Kiona can be a little nervous in new places and around new people, so she likes to take her time adjusting. This girl is a natural foodie and can be convinced that just about anyone is a friend as long as they have a handful of the good stuff. Kiona enjoys the company of a kitty roommate, but wouldn’t mind being the apple of your eye, either. 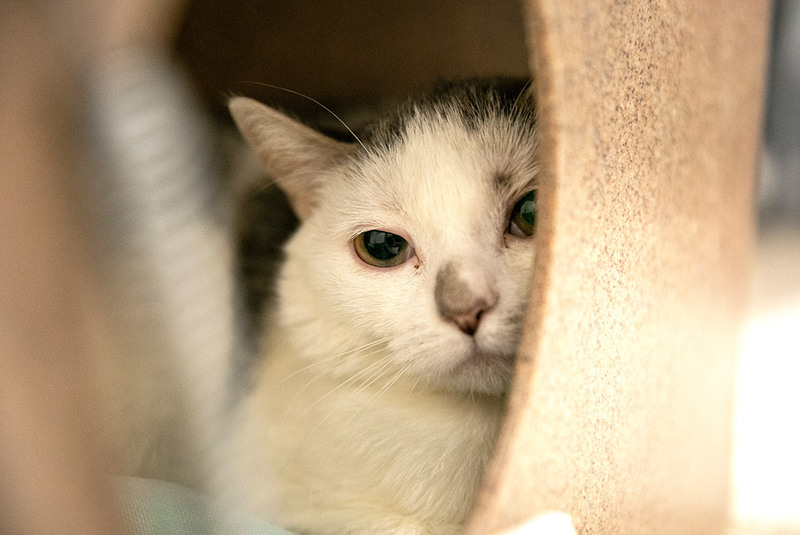 Kiona is looking for a quiet home with an adopter who understands she will need time to adjust to her new surroundings. She can live with children ages 12 and up.